Although we are less than a month into 2018, the new year is already shaping up to be something special for Acme Armature Works Inc.
After purchasing Sheboygan Armature Works from Dave and Dale Kautzer in September 2016, Acme Armature Works Inc. 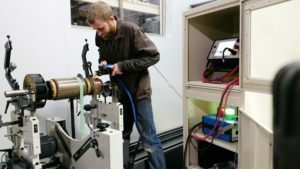 Owner Chad Bahrs has seen the growing electric motor repair shop blossom substantially over the course of the past 16 months. 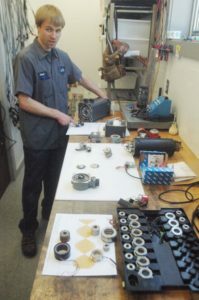 In an effort to meet the increasing demand for its electric and servo motor repair services, Bahrs has announced that Acme Armature Works Inc. is currently seeking candidates to fill three intriguing career opportunities – servo motor technician, reverse engineering machinist and field troubleshooting technician. Bahrs is currently seeking experienced candidates to fill these full-time career opportunities at Acme Armature Works Inc.’s Sheboygan, Wis. shop headquarters. “We are seeking skilled candidates with a strong attention to detail to fill these positions,” Bahrs said. “We are an expanding company with a bright future and we are eager to add candidates that are looking to grow with us. Interested candidates are invited to apply online at acmeservo.com or email resumes to chad@acmeservo.com.